The Galloway Township Police Department is requesting help from the public with locating Lorelei Burnett a Galloway Twp. resident that was reported missing on April 23, 2015. Ms. Burnett was last seen wearing blue jeans, a gray hooded sweatshirt with the “NY Giants” logo on it, and wearing white sneakers. Lorelei is a 63 year-old white female. Ms. Burnett could also be operating a silver 2005 Toyota Rav4. 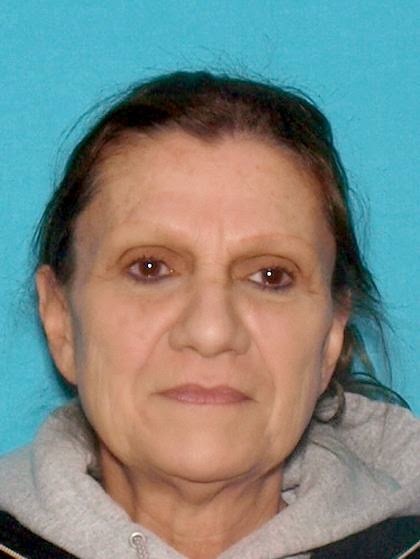 Anyone who may have any information in reference to Ms. Burnett’s whereabouts is asked to contact the Galloway Twp. Police Dept. at 609-652-3705 extension 310. Tips may also be left anonymously through Atlantic County Crime Stoppers (609)652-1234 or through the Galloway Twp Facebook page.